CASA of the Mid-Shore is a private, non-profit organization created to advocate for children who are under the protection of the circuit court because of abuse, neglect or abandonment. 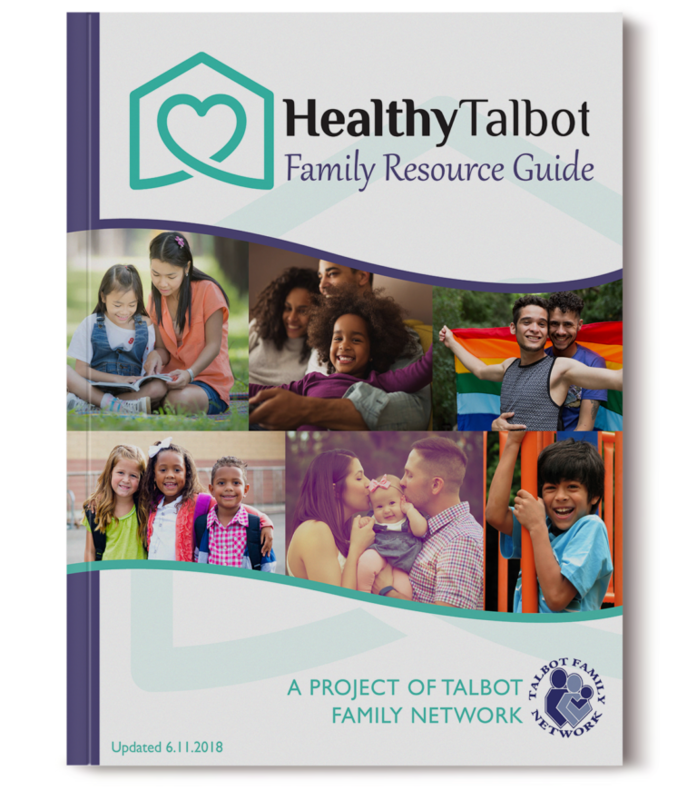 Download our Family Resource Guide PDF! Description A Homemade Plan provides assistance to older adults and individuals with disabilities with daily activities in the comfort of their own homes. Free consultation and needs assessments offered. Some services include: Personal Hygiene, Medication Administration, Medication Reminders, Meal Preparation, Companionship, Laundry, Light Housekeeping, Errands and Shopping, Ambulation (Walk) Assistance, Transfers, Transportation, Respite Care, Post Surgery/Injury Care, Special Needs Assistance. A Homemade Plan understands that every family’s needs are unique. We offer flexible schedules that will meet your specific needs. Schedules can range from as little as 2 hours a day to as many as 24 hours a day. Call for a free rate quote. Hours Monday through Friday, from 9 a.m. to 5 p.m. Description Paid Membership. Benefits Include: Movies for Grownups, Driver Safety, Member Discounts, Tax-Aide, Walgreens “Way to Well” Health Tour, Create The Good, Drive to End Hunger, Livable Communities, Technology Training, Caregiving Resources, Travel discounts, etc. Visit their website for a full list of member benefits, local events, and helpful resources. Description Abundant Grace Jail Ministry is a coalition of nine churches and twenty-five ministers that provide invaluable contributions to the spiritual well being and pastoral needs of the men and women held in the Talbot County Detention Center. Our primary focus is to help calm the worried, heal the wounded, and give hope to those wayward souls to support a successful life in the community after release. Description Admission is $3 for non-members. Children under 12 admitted free. Free admission on Wednesday. The Academy Art Museum offers children, teens and families many opportunities for learning and inspiration, including an early enrichment program, after-school classes, summer camps, homeschool classes, school field trips, family art days, Annual Student Art Exhibitions, Portfolio Night, and more. The Museum also partners with area schools and organizations to design projects and help forge a more vibrant community. The Mini Master Academy is an early enrichment program for children ages 2 - 4 years old. Visit their website for a schedule of events. Description AERS is a Maryland program based in local health departments which provides assistance to frail, aged, and disabled adults by conducting a comprehensive evaluation to identify public services available to help people remain in the community, or in their least restrictive environment, with as much independence as possible. Evaluations are conducted by a licensed registered nurse or social worker. Interpretation and translation services are available. Following an AERS evaluation, an individual may request case management services to assist them obtain services recommended in the plan of care. The AERS program may refer the individual to a case management provider or provide the services directly. Referrals are accepted by telephone, fax, mail, or in person from potential clients, their relatives, staff from agencies, and any concerned individual. Referred clients or their representatives are contacted by AERS staff to schedule an evaluation in their home, or present location. Assessments are voluntary, free of charge, and confidential, in compliance with state and federal regulations. Referrals to other agencies are not made unless a consent form is signed. Visit the web for more information on when to make a referral. Description Formed in 1980, the Alzheimer's Association is the world's leading voluntary health organization in Alzheimer's care, support and research. Support Hotline: (800) 272-3900; available 24 hours a day, 7 days a week, more than 200 languages. Resources, event information, and support group listings for Talbot County available on their website. Call to confirm dates and times before attending as changes may occur. Description The American Legion was chartered and incorporated by Congress in 1919 as a patriotic veterans organization devoted to mutual helpfulness. It is the nation’s largest wartime veterans service organization, committed to mentoring youth and sponsorship of wholesome programs in our communities, advocating patriotism and honor, promoting strong national security, and continued devotion to our fellow service members and veterans. Description As a non-profit organization whose mission is to “improve the quality of life for residents of the Town of Easton, Talbot County, and the Eastern Shore by providing arts, entertainment and educational programming”, we take pride in presenting a wide variety of programs. Musical performances, stand-up comedy, opera, theatric performances and musicals, showcases for local talent, kids’ summer camps and educational performers are the core of our repertoire. The Avalon Foundation also plays an integral role in the community outside of the Theatre walls, hosting events such as the Outdoor Summer Concert Series, the Multicultural Festival, and Easton’s 4th of July Celebration. The Avalon Foundation also runs the Easton Farmers Market which runs from April to December, and also hosts Plein Air – Easton!, the nation’s largest outdoor painting completion and arts festival. Description Independent Living, Assisted Living, Full Nursing Care, Memory Care, Respite Care, and Short Term Rehab for Seniors. Call to speak with one of our friendly residence counselors or visit our website to request a brochure! Description BrightStar Care offers quality home care in Easton, Maryland — 24 hours a day, 7 days a week. We live and work in the communities we serve, so there is a special dedication to our neighbors needing care. We offer a unique approach to home care assistance that allows us to create both short- and long-term home care solutions. Whether your Easton home care needs require companion care, personal care services, Alzheimer’s care, or skilled nursing, safety is our main goal. We can provide the assistance you or your loved one needs to be secure and comfortable in your own home. - Medical staffing for temporary and permanent skilled care for schools, hospitals, nursing homes, and assisted living facilities. Call for a complimentary in-home assessment. Description Brookletts Place is a center for seniors to gather and socialize with each other. It provides an aspect of community engagement for individuals 60 or older through the Center’s facilities and various events throughout the year. As a place with an excellent reputation among its membership, Brookletts Place strives to continuously expand to provide even more for area seniors over and above its well-rounded menu of available services and resources. Educational, wellness, recreational and social activities are offered year-round, giving seniors a place to grow, a place to thrive and a place to connect. Meals, Senior Information and Assistance and Transportation are available. - Daily senior programs and activities to include but not limited to: Computer Classes, Exercise Classes, Arts & Crafts Programs, Financial, Health & Nutrition sessions, Coffee Hour, exercise room, day trips and overnight trips. Description Talk to any of our family members and you will learn that Candle Light Cove's reputation is for consistently excellent care, in large part due to the quality of our team, our small size and our low care ratio. Our team includes RN/LPN care and our nurses' roles are not only of case managers and caregivers, but of mentors to our resident care staff. Our team approach encourages each staff member develop his or her unique talents, knowledge and experience and form meaningful relationships with our residents. Our activities program, conducted by our full-time activities coordinator, includes daily exercise programs and walks, crafts and games, visits from children's groups and Pets on Wheels, outings for picnics, luncheons, local music and theater performances, tours of local attractions. Assisted Living, 24/7 Personal Care, Memory Care, and Respite Care available! Description CASA of the Mid-Shore is a private, non-profit organization created to advocate for children who are under the protection of the circuit court because of abuse, neglect or abandonment. Court Appointed Special Advocates (CASAs) are officers of the court and, as such, are ordered to make assessments and recommendations to the judge regarding the best interest of the child to whom they are appointed. CASAs attempt to identify the specific needs of each child for the court, advocate for service provision to meet those needs, and assist in seeking a permanent resolution for each child’s life as quickly and safely as possible. Court Appointed Special Advocates are adult volunteers from the community who are screened, trained, and supervised by professional staff members. When a CASA volunteer is appointed by a judge to a child’s case, he or she is responsible for taking the time to learn as much as possible about the child. CASA volunteers search for information that might be helpful to the court by talking with parents, teachers, relatives, physicians, therapists, attorneys, social workers, and others. They work closely with all agencies involved with each child. Most importantly, the CASAs get to know the child, and frequently become one of the most consistent adults in the child’s life. Then, the CASAs provide a written report to the court with recommendations as to what is in each child’s best interest. Description Established in 1965, the Chesapeake Bay Maritime Museum in St. Michaels, Maryland, is a world-class maritime museum dedicated to preserving and exploring the history, environment and people of the entire Chesapeake Bay, with the values of relevancy, authenticity, and stewardship guiding its mission. CBMM is a fully accredited member of the American Association for Museums, offering interactive exhibitions, tours and scenic boat rides, demonstrations, boat rides on the Miles River, hands-on education programs for children and adults, and annual festivals that celebrate the Chesapeake Bay culture, boats, seafood, history, and people. Families with young children can use an activity backpack to facilitate museum exploration. Designed for children 3-6 years old, activities in the backpacks include games, puzzles, and props to encourage play and hands-on exploration within several of the museum’s exhibits, including the 1879 Hooper Strait Lighthouse. The backpacks can be reserved at CBMM’s Welcome Center during a visit, and are offered free with the museum’s general two-day admission. General admission is good for two days, excluding festivals. **CBMM is a Museums for All participant, which enables low-income families to visit CBMM for a minimal fee of $3 per person for up to four people with the presentation of an Electronic Benefits Transfer (EBT) card and photo ID. Dual Enrollment available for high school students. English Language Courses offered at varying days/times/locations. Description Mission: By coordinating services and informational programs, The Chesapeake Multicultural Resource Center (ChesMRC) empowers people from different cultures to become successful and engaged members of our community. Through education, we strive to breakdown cultural barriers that arise from differences in language, appearance or ethnic traditions. Description Each year the Clerk’s office files, processes and maintains civil, criminal and juvenile actions. The Clerk’s office records land deeds, mortgages, plats, conveyances and other precious documents. The Clerk administers oaths to County officials, Judges and Governor appointees, issues business and marriage licenses and performs civil wedding ceremonies. The Clerk also commissions Notaries Public. Family Service Programs including co-parenting seminars, supervised parent-child time, and Pro Se Litigants Family Law. Description Comfort Keepers is a leading provider of in home care and elderly care services. Our expert caregivers provide customized care plans that may include personal care and companionship-homemaker services. Our senior care agency will help seniors and other adults live an independent, quality life. We offer many care services that are designed to help your senior loved one live independently and happily in their own homes. Comfort Keepers takes a unique approach to home care through Interactive Caregiving. Our caregivers take every opportunity to upgrade everyday caregiving into significant and meaningful experiences for our senior clients. Interactive Caregiving allows Comfort Keepers to raise a senior's quality of life much higher than that of typical in home care service providers. From companionship to exercise to homemaker services, our loving caregivers will be there for your senior loved one. Description The jurisdiction of the court includes all landlord-tenant cases, replevin actions, motor vehicle violations, misdemeanors and certain felonies. In civil cases the District Court has exclusive jurisdiction in claims for $5,000 or less, and concurrent jurisdiction with the circuit courts in claims for amounts above $5,000 but less than $30,000. The jurisdiction of the District Court is concurrent with that of the circuit court in criminal cases, classified as misdemeanors and certain felonies, in which the penalty may be confinement for 3 years or more or a fine of $2,500 or more. The District Court does not conduct jury trials. No food or drink is allowed. For assistance with special needs, contact the court immediately. Parking: metered lot next to building. Description The Dixon House maintains a reputation for consistent delivery of excellence in care, as well as a commitment to resident comfort and safety, giving peace of mind to residents and families. Professionally trained and supervised staff provide personal attention and care to each resident, encouraging a vibrant lifestyle - a hallmark of living at The Dixon House. Description Bowling and arcade for the whole family. Book a private room for your next event, party, or fundraiser. Description HeartFields Assisted Living at Easton is a senior living community offering spacious assisted living apartments with kitchenette, as well as secure and comfortable accommodations in our award-winning Bridge to Rediscovery program for people with Alzheimer’s or related dementias. Our many services and amenities include chef-inspired dining, 24-hour staff, a full slate of social, educational, and recreational activities, exercise and wellness programs, full-service beauty salon and barber shop, game room, library, wireless Internet, transportation, laundry, and housekeeping. Description Home Instead Senior Care provides non-medical home care services to older adults in their homes. These services include companionship, light housekeeping, safety assistance, medication reminders, meal preparation and transportation. Home Instead Senior Care is also licensed to provide personal care services, which includes assistance with toileting, bathing, transferring, feeding and dressing. Services are customized to meet the individual needs of each client and can provide up to 24 hours care. Description Homecall provides personal services in the home including homemaker services and other help with the activities of daily living including toileting, light housekeeping, companionship, and dressing. Description Imagination Library of Talbot County’s primary mission is to address the very important need to expose children birth to age 5 to a literature and vocabulary rich environment by mailing high quality, age-appropriate books directly to their homes each month at no cost to their families. After registering, the first book takes about eight to ten weeks to arrive at your home and then you will receive a new book each month until your child turns five. All preschool-aged children under the age of five, who live in Talbot County are eligible for this program. Parents can register for this free program on the website. Description We are a paint your own pottery studio. We offer a variety of services including pottery painting, glass fusing, canvas painting, and hand-building raw clay. Whether you're looking to book a birthday party, attend one of our monthly workshops, sign up for summer camp, or put on a fundraising event, we've got you covered. Description Lions Clubs International is the world's largest service club organization with more than 1.4 million members in approximately 46,000 clubs in more than 200 countries and geographical areas around the world. Description MAP (Maryland Access Point), part of Upper Shore Aging, provides a link for caregivers, seniors, and disabled persons with resources in the community of Caroline, Talbot and Kent counties. MAP empowers individuals to effectively navigate their health and support options by providing information on a full range of community resources and long-term care programs. The program provides this in the form of personalized and objective assistance so that older adults, persons with disabilities, and caregivers can make decisions about meeting their current and future needs. MAP counselors can offer referrals for community based services to help people who live alone or with others in order to potentially avoid nursing home stays. MAP counselors can also provide links to services such as home-delivered meals, transportation, home modifications, energy assistance, legal resources, and state health insurance program assistance (Medicaid and/or Medicare). For local contact, visit: https://www.brooklettsplace.org/maryland-access-point-map. Description A non-profit law firm which provides free legal assistance. Helps with most civil (non-criminal) legal problems. Categories include the following issues: family and domestic, children in need of supervision, housing problems, public benefits, consumer problems and institutional problems. These three programs work hand-in-hand to provide community services and supports. They empower older adults and people with disabilities to live in the community. Referrals can be accepted at Talbot County Health Department by telephone, fax, mail, or in person. A licensed registered nurse will complete an evaluation for services in the client’s home or place of residence. Medical information from the client’s medical provider is required. Visit the web for more information about these programs. Description Mentoring matches for children and youth with an incarcerated parent/caregiver through Talbot Mentors. Support groups are also available for children impacted by the incarceration of a parent. Description Mid Shore Community Mediation Center provides mediation and conflict resolution services for all types of disputes and situations, please contact us if you have questions about how mediation may be suitable for your conflict. In addition to mediation, we offer group meeting facilitation and conflict management workshops. Mediation and facilitation services are provided to the public FREE of charge. Description Mid-Shore Pro Bono’s mission is to provide access to free legal services and is committed to strengthening the communities of Maryland's Mid-Shore by offering resolution to a variety of civil issues. This is Mid-Shore Pro Bono’s core program. MSPB provided over 6188 hours of service through private attorney involvement last year. That is over $1.8 Million dollars of legal services to our community. Handling contested custody cases are the most complex and time consuming. MSPB can pay attorneys a reduced fee to handle these tough cases. Homeowners on the Shore have a place to turn if they are facing foreclosure. A reduced fee is available to attorneys willing to represent our clients in Foreclosure Mediation. MSPB holds weekly Civil Legal Services Clinics to address the need for general legal services for our residents. This is the only resource available in a clinic setting and available in all 5 counties we serve. Talbot County: District Court House - Easton, MD on Fridays from 1-3 p.m. Call 410-690-8128 for an appointment. The Debtor's Assistance Project provides debtors with an opportunity to meet with a bankruptcy attorney for a cost-free half-hour consultation. Clinics are held monthly in Easton. Collaborative Law uses an Alternate Dispute Resolution (ADR) method to resolve domestic issues using an out of court settlement process. Community Conferencing is an Alternate Dispute Resolution process focused on keeping our region’s youth out of the juvenile justice system. Provides additional support for female clients seeking legal assistance with family law disputes. The project has a multilayered approach to assist women at every stage of the legal process which includes mentoring and financial assistance. Mid-Shore Pro Bono recognizes that a growing proportion of the Eastern Shore residents are seniors. To better serve these individuals, we have launched a new program to reach this special class of people. Mid-Shore Residential Care & Services, Inc. Description Mid-Shore Residential Care & Services, Inc. provides state certified nursing assistants, certified home health aides, and/or sitter companions, with availability for emergency situations. In-home care is provided for the elderly who are homebound. Serving Talbot, Caroline, Dorchester & Queen Anne counties & surrounding areas for senior citizens. Description The mission of the National Association for the Advancement of Colored People is to ensure the political, educational, social, and economic equality of rights of all persons and to eliminate race-based discrimination. Description An online resource center for information on nursing home abuse, nursing home neglect, elderly injuries, legal options, compensation and other resources. Get a free legal case review! Description The Oxford Community Center (OCC) has served as a community resource for over 80 years, first as a grammar school and then a high school and, for the last quarter century, as a cultural activities center and meeting place. OCC provides to residents and visitors alike a year-round schedule of social, cultural, and recreational programs and events. Description We are the recognized leader in Maryland for programs and services that support the independence of older adults using the time and talents of our members, leadership, and staff. Partners In Care promotes active engagement of our members and their families by offering services in exchange for their donated time and talents. Our members remain actively involved in their community through transportation and home repair programs, as well as a meaningful social network of care. Our programs and services contribute to the safety and well-being of our members. Hours Guided tours of the estuarium, gardens, and oyster aquaculture operation are available 7 days a week from Memorial Day to Labor day, Wednesday – Monday from March 1 – December 1st and weekends during the winter. We are open 10 am – 4 pm. Our mission is nothing short of saving our precious Chesapeake Bay as a natural resource and as a source of healthy seafood and productive jobs for our residents along its shores. It is through our many programs that we can help others understand how the daily decisions we make each day can impact the Bay and its health and well-being. Description Explore, restore, volunteer, enjoy our 400-acre working farm on the Eastern Shore of Maryland situated next to the tidal Pickering Creek. Description The Register of Wills is responsible for appointing personal representatives to administer decedents’ estates and for overseeing the proper and timely administration of these proceedings. We also perform the following duties: assist and advise the public in the preparation of all required forms; maintain and preserve the permanent record of all proceedings; serve as the Clerk to the Orphans’ Court; track estates and refer delinquent matters to the Court; determine and collect inheritance taxes and probate fees/court costs; audit accounts of personal representatives and guardians; mail various notices and court orders to interested persons; and, verify compliance with court orders. As a service we provide safekeeping for wills of living persons. Description The Talbot County Senior Care Program is funded by the Maryland Department of Aging and supplemented with County funding. It is administered by the Talbot County Health Department in partnership with Upper Shore Aging and the Department of Social Services. The Senior Care program provides case management and funds for services for people 65 or older who may be at risk of nursing home placement. Senior Care allows seniors to live with dignity and in the comfort of their own homes and at a lower cost than nursing facility care. Senior Care provides a comprehensive assessment of an individual's needs, a case manager to secure and coordinate services, and a pool of gapfilling funds to purchase services for individuals who meet program eligibility requirements. Services may include personal care, chore service, medications, medical supplies, adult day care, respite care, home delivered meals, transportation, and emergency response systems. Description Shore Home Care's goal is to help each patient maintain optimal health and independence in his or her home setting, whether a family residence, a group home, or a residential care facility. Working with each patient’s primary health care provider, home care staff members develop an individualized program of care to meet the patient’s needs and encourage his or her progress toward optimal health. They also: maintain contact with all clients and the clients’ primary care physicians regarding progress; and review and update all care plans every 60 days or less. Description The Mission statement of the Saint Michaels Community Center is to promote and provide quality activities and services that will contribute to the physical, emotional and social well being of the community. Provide supervised program opportunities for the enrichment of our children and teens. Provide activities and services for senior citizens. Provide affordable recreational, social, and educational activities to the community residents of all ages regardless of ethnicity gender or economic status. Develop partnerships with other non-profit groups and community–oriented organizations. Provide exemplary management of the Center and its activities. Description The Society of St. Vincent de Paul is a worldwide Catholic organization of lay people, open to all who wish to live their faith by loving and serving their neighbors. Members of the Society provide person-to-person service to help those in need, regardless of race, creed, gender or religion. We perform our works of charity quietly and respectfully, preserving the dignity of all those we encounter. No work of charity is foreign to us. Description The State's Attorney's Office is primarily responsible for the investigation and prosecution of criminal cases at the trial level. Support & Connect Program – For All Seasons, Inc. Hours Program hours are flexible and dependent on the needs of families. Description The Support & Connect Program was designed to reduce the stress experienced by caregivers of Talbot County children and youth who have a current or formerly incarcerated parent. Understanding that positive relationships with caregivers are vital for a healthy and stable life for children, we focus on assisting individuals to develop an understanding of self and instill hope, empowerment, and coping skills to enhance their quality of life. To help with the care-giving challenges that come with parental incarceration, the Resource Navigator supports families by connecting them to community resources and in conjunction with a licensed therapist, facilitates weekly therapeutic support groups for caregivers. Free access to books, ebooks, audiobooks, DVD's, magazines, newspapers, 24/7 research databases, online classes and tutoring, and more! Also free public computers with internet access and free wifi. Free scanning to email, free meeting rooms for qualified groups, quiet study rooms and educational programs for all ages. Color printing/photocopies for $.25 a page, black and white computer printing for $.10 a page. Black and white photocopies for $.15 to $.25 a page. Free access to books, ebooks, audiobooks, DVD's, magazines, newspapers, 24/7 research databases, online classes and tutoring, and more! Also free public computers with internet access and free wifi. Free scanning to email, free meeting rooms for qualified groups, and educational programs for all ages. Color printing/photocopies for $.25 a page, black and white computer printing for $.10 a page. Black and white photocopies for $.15 to $.25 a page. Description Talbot County is a special place. We believe that it is our responsibility to contribute to the quality of life in the county by providing all who are interested in an opportunity to learn our rich history and to share in the experience of life here through the ages. Our mission is to provide educational opportunities to the citizens of our county so they may learn from the past and use that knowledge to build a future that preserves Talbot County as one of the best places to live. Our administrative offices are located on the second floor of the historic Mary Jenkins House. Our address is 30 South Washington Street, Easton, MD 21601. Description The Talbot County Department of Parks and Recreation (TCDPR) invites you to enjoy the finest natural resources, recreational facilities, and programs available on Maryland's Eastern Shore. We are responsible for public recreation programs, as well as the maintenance, procurement, and development of county-owned recreational facilities. TCDPR also operates the Talbot County Community Center, George Murphy Community Pool, Bay Hundred Community Pool, manages 13 public park sites and 29 public landings. Description Talbot County Teen Court was started in 1999. It is a voluntary diversion program run by teens for teens. Respondents must be between the ages of 13-17, first time offenders, Talbot County residents, and admit their guilt. In Teen Court, volunteers perform the roles of the prosecuting and defense attorneys, bailiff, clerk, Judge, and jury. Cases are referred to Teen Court by local law enforcement agencies, school systems, and the Maryland Department of Juvenile Services. Depending on the severity of the offense, Talbot County Teen Court employs minimum and maximum ranges of sanctions. Respondents all receive between 8-60 hours of community service and 1-4 jury duties, but the jury may also mandate that the youth attend educational programs, write an apology letter, or compose an essay about the incident. Respondents have 60 days to complete their sanctions. If the youth fails to complete the assigned sanctions, his case is referred to the Department of Juvenile Services, where a petition may be filed for formal action. Description The Talbot County Chamber of Commerce Young Professionals provides young professionals of the Mid-Shore region opportunities for personal and professional development through business and social events. Membership is FREE! Email yp@talbotchamber.org to join. Description Talbot Hospice offers hope, compassionate support and services to all members of our community facing end-of-life issues. We provide patient and family care, community education and advocacy while respecting both curative and palliative treatment choices. Description Talbot Rising is a nonpartisan progressive grassroots volunteer organization using the power of peaceful resistance, education, and issue advocacy for economic, social, racial, and environmental justice in Talbot County on Maryland’s Eastern Shore. Description Talbot Village Connections are membership-driven,grass-roots organizations that coordinate access to affordable services. Through volunteers, villages enable individuals to remain connected to their community throughout the aging process by providing access to health and wellness programs, home repairs, social and educational activities,and other day-to-day needs. Talbot Village Connection's members have access to our entire group of pre-screened service providers and volunteers. Some of our service providers may offer discounted prices to you as a member. In addition, our volunteers are available to provide many services at no cost. Our staff is available to arrange the volunteer assistance you request and to follow up to ensure you received the level of service you expected. Access to home help is only a phone call away, giving you convenience and peace of mind. We connect with each new member to review your needs and help determine what assistance may be needed and then create a schedule. Membership is available to residents of Talbot County (MD) who are over the age of 55. An annual membership fee provides services for one household (1-2 people). Financial assistance may be available to those with limited resources. Description The Pines is an AHCA Bronze Quality Award winner and AMDA/EverCare Award winner for improving the lives we touch through high-quality care. Provides 24 hour skilled nursing, discharge planning, case management, Individual treatment plans, nutritional needs management, wellness programs, dementia services, coordinated transportation, organized events, physical therapy, speech therapy. Visit the web for a full list of services and amenities. University of Maryland Extension - Talbot County has a mission of “Solutions In Your Community.” We achieve this mission by providing citizens with consultations, fact sheets, community 4-H clubs and programs for youth, workshops, courses, and newsletters. Our mission is to educate citizens and help them learn to apply practical, research-based knowledge to issues facing individuals, families, communities, the state, and the world. County Extension offices are located in each of Maryland's 23 counties and Baltimore City. Description Upper Shore Aging, Inc. is a nonprofit 501(c)(3) organization that is the designated Area Agency on Aging for Talbot, Caroline and Kent counties, Maryland, serving a potential market of nearly 22,000 persons over the age of sixty years. Our organization develops and manages a coordinated program of services that work together with a goal of helping elders to remain, and live well, in the community as long as possible. Upper Shore Aging, Inc. works closely with the Maryland Department of Aging to serve the needs of its clients. Description OUR MISSION: To foster camaraderie among United States veterans of overseas conflicts. To serve our veterans, the military, and our communities. To advocate on behalf of all veterans. Description We are the preferred local provider of in home care services to seniors. Our agency provides non-medical senior care, elderly care, memory care, personal care, social care, companion care, and in home care to elderly persons in Easton, Salisbury, Berlin, Ocean City, Chestertown, St. Michaels, Kent Island, and throughout the Eastern Shore area. If you have an aging parent or loved one who wishes to remain independent at home, in home care from Visiting Angels Easton can help.